As the 14th hearing of the OdaTV case, in which journalists Nedim Şener, Ahmet Şık and Soner Yalçın are being tried as suspects, was continuing in İstanbul, main opposition Republican People’s Party (CHP) leader Kemal Kılıçdaroğlu said in Ankara that he expected to hear rulings for releases of defendants. 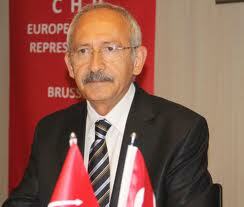 Releases would be relieving for public opinion both in Turkey and the world, Kılıçdaroğlu said, noting that release decision would change Turkey’s image among the international community. “It bothers the public conscience that journalist friends envisaging to inform the public, chasing after news have been arrested for a long time. They are journalists, there is only pen in their hands. It is not right to arrest them, put them in jail and keep them waiting in prisons for a long time. This is not a procedure we can democratically accept. 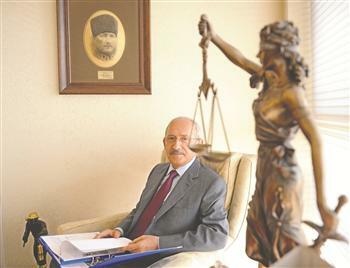 We expect that case [OdaTV case] to be concluded in line with the law too, we expect releases,” Kılıçdaroğlu told reporters. “It will give a relief to both the Turkish public opinion and the world’s. It will change the perception of Turkey too. Justice is, of course, a notion that we all look for and cherish. We need to sublimate this notion. Our task should not be to weaken it. It is the judges and the decisions they will take which will sublimate it [the notion of Justice],” he added. Arrested suspects Soner Yalçın, Yalçın Küçük and Hanefi Avcı were brought into court while head of the court Mehmet Ekinci, who is currently abroad, was absent. The court’s second highest placed member, Hikmet Şen, will manage the hearing. A group of people, including Republican People’s Party (CHP) deputies and journalists Ayşe Arman and Uğur Dündar, gathered in front of the court for the hearing. The group issued a press statement saying that this was a political case and that government opponents were being tried. The OdaTV case centers on an online news portal known for its fierce criticism of the Turkish government.